This article shows you how to unformat external hard drive and recover files from reformatted extern disk, hard drive, SD card, flash drive, etc. Formatting is performed to hard drive when it is just bought, which is the first step to get hard drive or external hard drive ready for storing data. Hard drive is often regarded as the most important part of computer, as it stores all users’ data. External hard drive is a type of portable hard drive. It is mostly used to store backup copy and data transferring. The simplest way of erase files on hard drive is formatting. Formatting is able to erase all files off the entire drive, so it is dangerous to use the function if you are not sure whether the drive stores important data. Though formatting and reformatting clears data, but we have perfect solution to unformat data. At present, formatted can be classified into two types: low level formatting and high level formatting (fast formatting). Low level formatting is used on the process of initializing hard drive, which can be done by hard drive manufacturers only. High level formatting is what users usually do under system, which is called fast formatting in Windows. High level formatting can create new file system that is responsible for file storing and management. Reformatting of hard drive or external hard drive can change file system format and remove files. If your computer or external hard drive is used by a couple of family members or colleagues, then you have to keep sensitive and important documents with special secure protection. Otherwise, these important files will be erased due to deletion, corruption, reformatting, etc. Anyhow, after reformatting of external hard drive, all files lose. 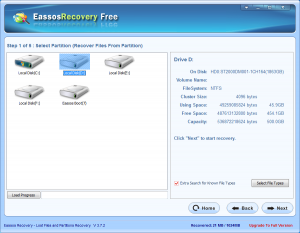 So you need to unformat external hard drive and will need the help of external hard drive recovery software – Eassos Recovery. Reformatted recovery of external hard drive is worthwhile, as it is major data storage devices, and it is able to store larger amount of data than CDs, USB flash drive, memory card, etc. Furthermore, many files can’t be regained, such as photos taken years ago. 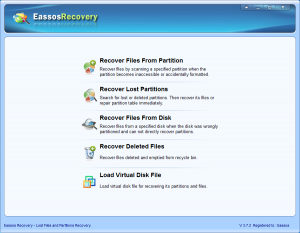 Eassos Recovery builds in the function of reformatted external hard drive recovery which can help users to unformat data easily. The following partition is the process of reformatted recovery. How to unformat data from external hard drive using free recovery software? Step 1: Prepare recovery software. 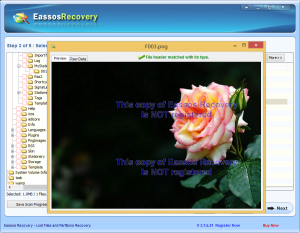 Download and install Eassos Recovery. Step 2: Connect the reformatted external hard drive to computer, and then launch the unformat program. Step 3: Select recovery mode to unformat drive。Choose the drive and click “Next” to scanned reformatted files. Step4: After scanning, preview and save reformatted files. This entry was posted in Data Recovery and tagged reformatted external hard drive recovery, reformatted recovery, Unformat data, unformat external hard drive by EASSOS. Bookmark the permalink.